Natsume Inc., a worldwide developer and publisher of family-oriented video games, has announced a release date for its upcoming RPG brawler River City: Tokyo Rumble for the Nintendo 3DS. River City: Tokyo Rumble continues the partnership established last year with Arc System Works, the owners of the River City franchise. The game will be available in both digital and physical formats when it launches September 27th. Players can will receive a limited edition Kunio keychain from the new Natsume Amazon store! River City: Tokyo Rumble will be the first product offered on the new Natsume Amazon store, with more Natsume titles to follow this fall. "We are thrilled that River City: Tokyo Rumble will be the first item available in the new Natsume Amazon Store," said Hiro Maekawa, President & CEO of Natsume. "Natsume fans will not only find our lineup of popular games all in one convenient location, but the store will also offer special, exclusive bundles and bonus items like our well-known plush and other unique items. Players should stay tuned as we release more information this fall." 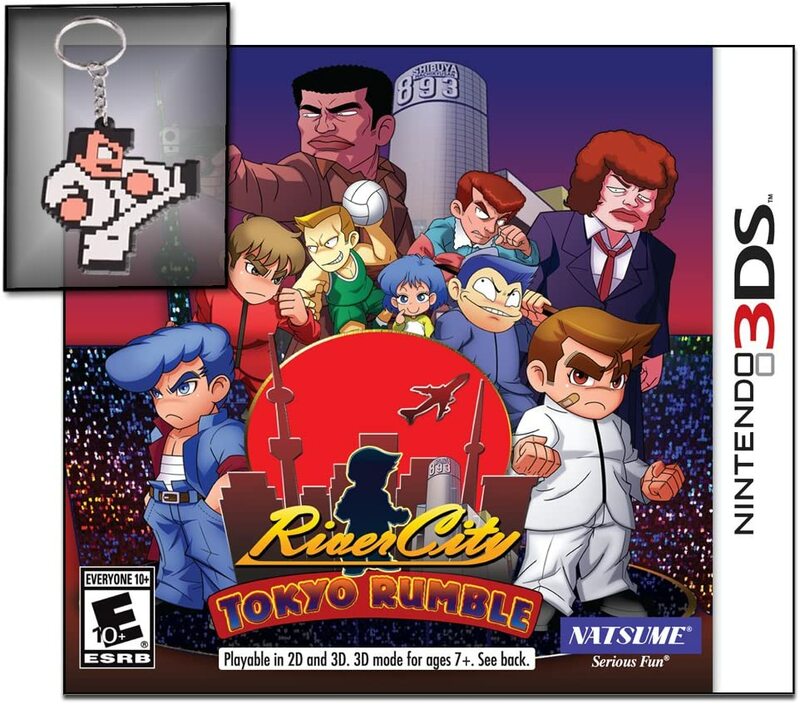 Fans who order River City: Tokyo Rumble from the Amazon store will receive a limited edition collectible keychain with their game when it launches September 27th. The keychain features the game's main character, Kunio, a thug with a heart of gold who looks out for his pals and fights for justice...exactly the kind of guy you want on your side! Players will punch, kick, and use a variety of weapons such as soccer balls, iron knuckles, chains, and even bicycles to knock some sense into those devious gang members. Taking on jobs, leveling up abilities, and stopping for a snack or two at local food joints are just some of the action-packed mayhem players will experience. Luckily, smiles are free!